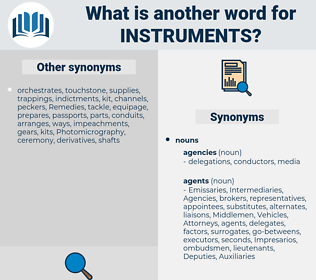 What is another word for instruments? Instrumentalities, meters, enactments, options, derivatives, Securities. million, 2006, 4, 6, 13.
agreements, writings, Regulations, assets, rules, outils, grounds, textes, Rights, nations, Capacities, implements, methods, provisions, ways, procedures, laws, Records, actes, Crimes, Capabilities, gadgets, approaches, files, products, Facilities. mechanics, method, methods, Trademarks, provisions, inputs, section, ways, manner, items, steps, music, Relating, procedures, legislation, proceedings, media, medium, available, literature, notes, modes, events, implants, acquisition, outcome, outcomes, development, gear, concerning, Medium-sized, commission, republic, Emitted, legislative, Issued, implications, toolbar, laws, enablers, community, september, record, Records, consequences, pictures, documentary, regarding, mass, language, actes, offence, Crimes, capability, Capabilities, gadgets, avenues, visual, conduct, marks, approaches, sets, files, how, products, EOF, SEPA, way, c., capacity, violence, average, Of, CCA, mean, access, social, controls, canada, facility, Facilities, goods, toolbox. communications, techniques, requirements, agreements, instructions, regimes, terms, purposes, matters, authorities, components, principles, Investments, Questionnaires, utensils, conditions, institutions, implement, incidents, establishment, establishments, parliament, restraints, Environments, pieces, organisations, operations, statements, elements, factors, Injuries, writings, things, Incentives, organs, Regulations, resolutions, Mediums, Recommendations, parts, points, credentials, arsenals, responsibilities, paraphernalia, issues, structures, arms, sensors, instances, transactions, methodologies, agents, Governments, solutions, monies, courses, receipts, installations, Criteria, commitments, alternatives, terrorists, rates, assistants, legislations, harps, attachments, entitlements, directives, regions, Cameras, Guidelines, statutes, Observatories, memoranda, liabilities, assets, details, sources, constraints, cooperation, Helicopters, RIAS, supports, dossiers, certificates, respects, scanners, Standards, tactics, rules, modalities, kits, appropriations, Keys, results, outils, moyens, Policies, technologies, versions, names, Accessories, secretary, euro, Euros, submissions, Organizations, write, Commodities, tenders, qualifications, Permits, levers, practices, others, Artifacts, manoeuvres, reasons, reports, Ones, routes, substances, banks, words, values, cards, aims, workings, deposits, issuances, tricks, lessons, gears, developments, Tests, fixtures, modern, planes, grounds, RIGS, services, immediately, mandates, weapons, finances, Carriers, species, Operators, charters, newspapers, platforms, savings, invoices, vouchers, established, Surveys, teachings, skills, data, Publications, members, aspects, titres, violations, funds, console, frameworks, works, Scales, headings, constructions, amounts, devises, clauses, Areas, Languages, committees, kinds, notices, Forms, textes, responses, offences, objects, toolkits, phones, external, decisions, strategies, networks, titles, vessels, widely, Textbooks, Phases, reinforced, utilities, stocks, Remedies, drivers, readers, Rights, more, drafts, captions, facts, gauges, Forums, Opportunities, Agencies, scripts, safeguards, features, Countries, stages, Essays, norms, headlines, examples, obligations, contracts, radios, nets, Efforts, types, applications, special, proposals, shackles, pacts, Copies, Prices, figures, Possibilities, pawns, fleets, compacts, packages, holdings, clean, forces, Capacities, levels, Bodies, blades, trade, Ideas, bonds, code, officials, pleas, Activities, officers, accords, degrees, supplies, powers, states, programmes, Diplomas, FARES, Watches, actors, plans, Parties, Programs, attacks, transcripts, cases, shares, deals, exchanges, Bases, implements, 36, mechanics, methods, provisions, 2001, inputs, ways, -lrb-, date, LINEs, items, steps, procedures, proceedings, media, notes, modes, events, outcomes, concerning, implications, laws, enablers, Records, consequences, actes, Crimes, Capabilities, gadgets, avenues, approaches, sets, files, products, controls, Facilities, goods, mechanisms. 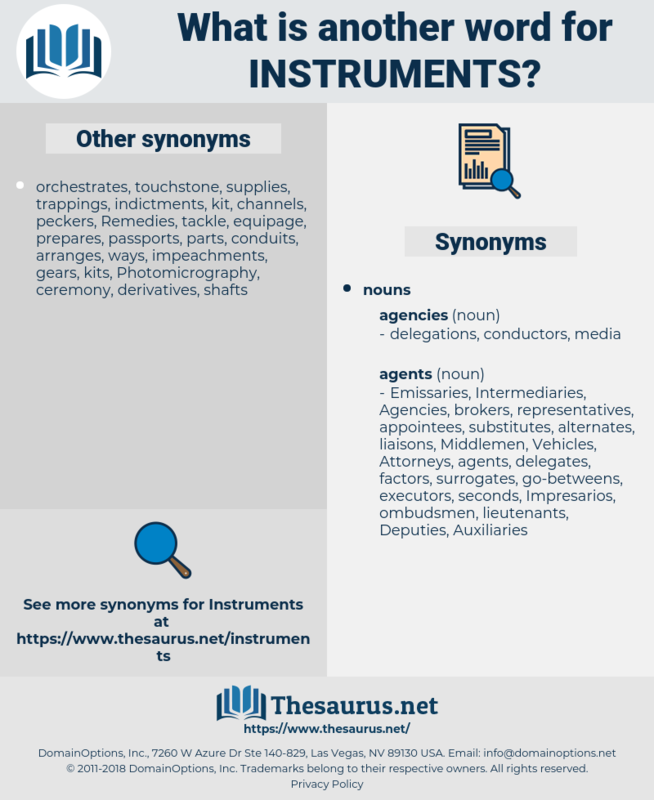 implements, deeds, device, mechanism, mechanisms. Heroic and lyric songs, usually accompanied by folk instruments, were passed down from generation to generation over the centuries. It's like working on their instruments instead of mine.